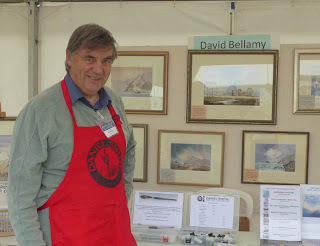 This entry was posted in Arctic watercolours, atmosphere, David Bellamy, Patchings Art Festival demonstrating watercolour, ST Cuthberts Mill and tagged #arcticlight, Patchings Art Festival, St Cuthberts Mill by David Bellamy. Bookmark the permalink. These walrus paintings are fabulous! Also love the comments. Thanks so much! 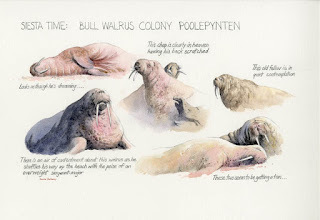 Although I am not fortunate enough to attend the Patching’s Art Festival, it is always a joy to read your blogs. With my love of Saunder’s Waterford High White rough and Daniel Smith’s with it’s awesome granulating pigments, it was good to be reminded of the hot pressed paper and it’s different qualities and uses. More inspiration from you David, loving your montage ! I must order some more ! Many thanks.